Lease Option! 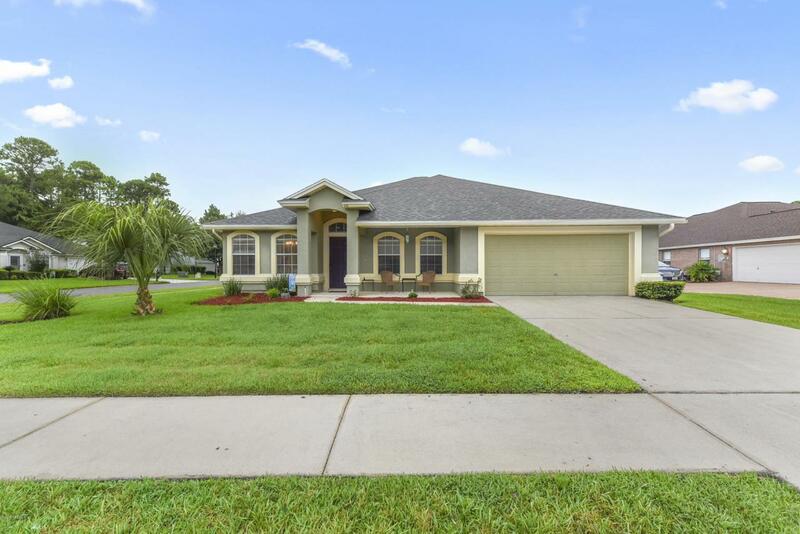 This beautiful home on one of the largest corner lots has brand new stainless steel appliances in the kitchen, updated lighting fixtures, sinks, toilets and faucets in the bathroom. New roof 2018, Transferable Termite Bond, Low Maintenance Landscape on Public Irrigation . Unique Counters in the open kitchen are recycled glass with no maintenance and heat resistant! Lots of storage throughout the house. One of only 2 homes with this Floor-plan in the community. Owners suite is conveniently tucked away from the rest of the house for a quiet sanctuary. Lots of light throughout the day. Come enjoy the sunrises and sunsets from the front porch. Schedule your Showing Today! Lease Option is offered through Dream America.